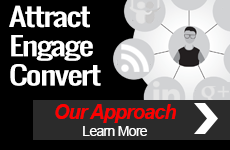 How would you like to get free social media marketing and service advice from some of the top B2B and B2C brands? We’re talking about Century 21, Dell, TaylorMade, Whole Foods Market, Adobe, IBM, Cisco, Discover, LinkedIn, Humana, Marriott, Experian, Citrix, PwC, HubSpot, Kelly Services and more. Add to that, top social media marketing industry thought leaders like Mari Smith, Jay Baer, Joe Pulizzi, Brian Clark and many more. 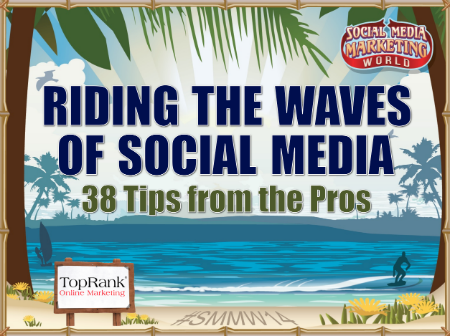 All that social media smarts plus a surfing theme has been packaged into one, 50+ page eBook: Riding the Waves of Social Media – 38 Tips from the Pros. 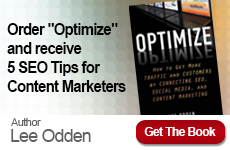 Created as part of TopRank Marketing’s media sponsorship of the upcoming Social Media Marketing World conference in San Diego March 26th, this eBook serves as a tasty appetizer for what some of the top social media marketing professionals in the world will be presenting. Lucky for us all this eBook is live, free and ready for you to read below or download from the TopRank Slideshare page. Check it out!